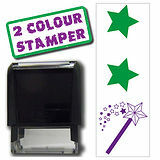 This stamper features 2 stars in green ink, and a magic wand image in purple - all in one stamper! 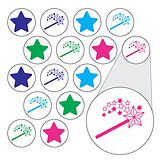 A unique manufacturing technique has enabled us to offer 2 ink colours in one stamper. 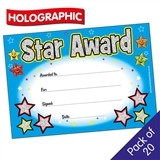 This will brighten up your marking and engage your pupils.